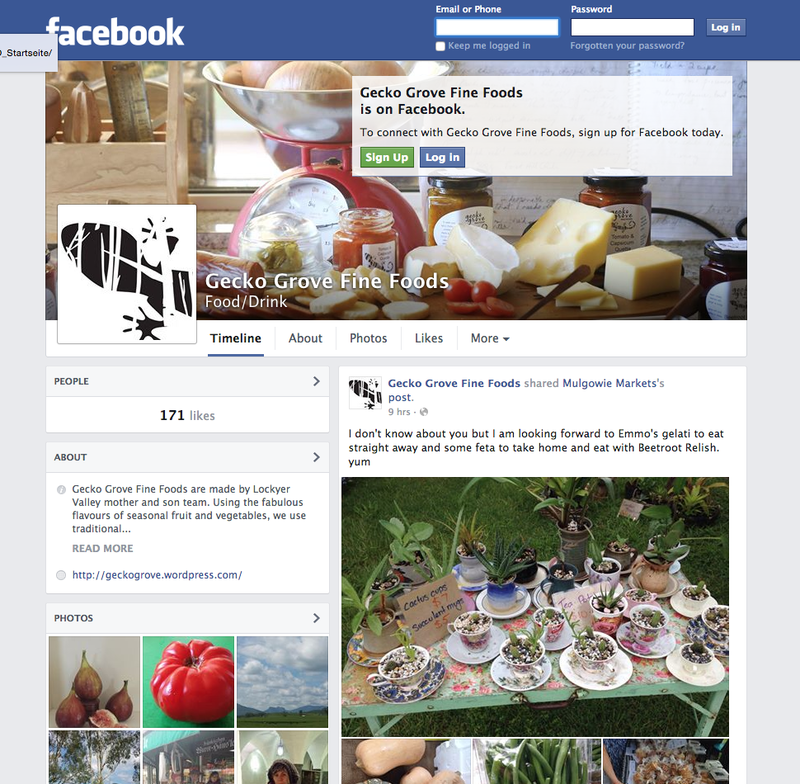 For more regular posts and updates on Market dates be sure to find us on Facebook at http://www.facebook.com/GeckoGroveFineFoods. You can also share this Facebook page with your friends and family. Tags: facebook. Bookmark the permalink.